Peter Thonemann, The Hellenistic Age. Oxford; New York: Oxford University Press, 2016. Pp. xi, 152. ISBN 9780198759010. $17.95. "Most books on the Hellenistic world begin by lamenting the state of our evidence for the period. This is nonsense. On almost any criterion, we know far more about Hellenistic history than we do about the Archaic or Classical Greek world" (p. 9-10). This statement serves to summarise the enthusiastic and lively tone of P. Thonemann's The Hellenistic Age. Thonemann, an Associate Professor of Ancient History at Wadham College, Oxford, has authored and edited a multitude of academic books and articles on the history, epigraphy, numismatics, and archaeology of Hellenistic and Roman Asia Minor, so that the current book is rooted in his expertise in this area. The vast geographical, chronological, and cultural span of the Hellenistic world, combined with the lack of one single epicentre, such as Rome or Athens, as well as the lack of a single unifying ancient historical narrative create unique challenges for the historian. This book, however, presents an accessible, unconventional and enjoyable introduction to the Hellenistic world. It strikes a welcome balance, using both broad historical narrative and also more detailed case studies of thematic issues such as kingship, intellectual developments, the peripheries of the Hellenistic world, and the Hellenistic city. When I first encountered The Hellenistic Age, I had wondered about how this book would compare to F.W. Walbank's The Hellenistic World, which is very much a standard brief introduction to Hellenistic history. 1 The comparison revealed that these books do slightly different things.While Walbank's book could be updated in some areas, it nonetheless provides a more holistic approach to the history of this period than Thonemann's, which is more selective and thematic. In terms of a brief and systematic introduction to Hellenistic history, Walbank's work may still be more appropriate. Where Thonemann's book excels, however, is in its accessibility and in the range of material that has been used throughout, and thus serves as a better introduction for anyone intending to begin studying the Hellenistic World. Thonenmann's short book is divided into six chapters. The first of these, The Idea of the Hellenistic, presents an overview of how Hellenistic might be defined temporally, spatially, and culturally, as well as presenting some of the sources for exploring the period: ancient authors (Diodorus Siculus, Josephus, Livy, Plutarch, and Polybius), inscriptions, papyri, coins, and architectural remains. Some key modern scholars are then introduced: Bickerman, Droysen, Ma, Momigliano, Robert (indirectly, through a nice introduction to the travels of Clearchus at the beginning of the book) and Tarn. Scholars such as Green, Rostovtzeff, and Walbank are perhaps notably absent from this section. Chapter Two does an admirable job of presenting a concise overview of Hellenistic history "from Alexander to Augustus", as the title indicates. This is by no means a comprehensive study of Hellenistic history (nor could it be, in such a short book). Instead, it offers descriptions of the three major Hellenistic Dynasties (the Ptolemies, the Seleucids and the Antigonids), as well as drawing in the Attalids, the Achaean League and Hellenistic Sicily later in the chapter. The key people and events of Hellenistic history from the life of Alexander to the death of Cleopatra VII are referenced in this chapter. I was particularly impressed with the section entitled Symplokē, 220-188 BC, which begins on p. 35. Here, Thonemann has encapsulated the emergence and increasing engagement of the Romans in peninsular Greece and Asia Minor in a particularly lively and enjoyable narrative. This section ends touchingly with Cavafy's wonderful poem, The Battle of Magnesia. The chapter itself finishes with a short discussion of the Mithridatic wars and the eventual victory of Octavian at Actium. Perhaps part of the reason for the clean and flowing historical narrative of Chapter 2 is that Thonemann does not go into any depth on key thematic issues at this stage, but rather presents an energetic historical account. Chapters 3, 4, and 5 are reserved for exploring thematic issues in more depth. Chapter 3, "Demetrius the Besieger and Hellenistic Kingship", presents Demetrius, surely one of ancient history's most colourful characters, as a case study for understanding Hellenistic kingship. The chapter outlines the storied career of Demetrius, which is contextualized within a wider thematic discussion about the emergence of Hellenistic kingship, the hallmarks of this institution, and the complex topic of Hellenistic ruler cult. Chapter 4, "Eratosthenes and the System of the World", describes intellectual and technological innovation during the Hellenistic period. This was one of the most enjoyable chapters in this book. It presents literary and scientific developments as interconnected strands of investigation. As the title indicates, Eratosthenes and his famed calculation of the earth's circumference occupy an important place in this chapter. An exploration of Hellenistic intellectual developments would not be complete without the inclusion of Archimedes, the Temple of the Muses in Alexandria, and the library of Pergamum, all of which are discussed in varying levels of detail. A welcome addition to this chapter is a section on the Antikythera mechanism, and perhaps more significant from a historical perspective, a brief discussion of the development of water-powered grain mills. Thonemann provocatively suggests [p. 81] that the rate of innovation characteristic of Hellenistic times could not have occurred in independent Greek city-states lacking the organization, resources, and intellectual freedom of Ptolemaic Alexandria. 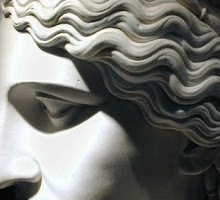 Chapter 5, "Encounters", turns to the peripheries of the Hellenistic World. Beginning with an inscription associated with the Indian king Ashoka, in which the Hellenistic kingdoms are named, this chapter is structured around the cardinal points of the compass. Thonemann discusses the east with reference to Aï Khanoum, the south with reference to Greek activities in the Red Sea and Persian Gulf regions, the north with reference to Olbia and Scythians, and the west with reference to the Villa of the Papyri. The underlying theme is the complex interplay and exchange between Greco- Macedonian and native societies. The final chapter of the book presents us with a case study of a small city, "Priene", and examines its place within the wider Hellenistic world. Thonemann draws upon archaeological, historical, epigraphic and numismatic remains (as well as an account from a 19th century liquorice magnate!) to present a contextualized picture of a city throughout its lifecycle from early Hellenistic times until its decline during the Roman imperial period. This chapter was thoroughly enjoyable to read: Thonemann's multi-faceted approach is one that should engage newcomers to the Hellenistic world as well as specialist historians, epigraphers, and archaeologists. The Hellenistic Age is written in such an enthusiastic and engaging style that a broad range of readers with little, or even no, familiarity with the topic should find it both informative and enjoyable. Returning to the range of sources consulted, this work serves to reflect the diversity of the toolkit available to the modern scholar of the Hellenistic world. Thonemann's use of sources such as ancient literary texts, papyri, coins, inscriptions, and archaeological remains effectively communicates to the reader how various types of data can potentially be mobilised in the context of a larger interpretation. This book would have benefitted from more detailed bibliographical suggestions; the Further Reading section will surely be helpful for readers with no background on the topic, but is perhaps a little too general even for undergraduate readers. That minor criticism aside, this is a thoroughly enjoyable short book and serves as an excellent introduction to the Hellenistic age. I will be assigning this on undergraduate summer reading lists in order to stimulate students' interest in Hellenistic history, and I would recommend it to anyone seeking to gain a basic familiarity with this period, which Thonemann casts as a time of political redefinition, cultural interaction, and technological innovation, not unlike the present. 1. Walbank, F.W. The Hellenistic World. London: Fontana Press, 1981.